The Best Waterfalls in Europe! Waterfalls are a force of nature that is truly awe-inspiring to see. North America and Africa have some famous waterfalls (Niagra, Victoria Falls, etc. 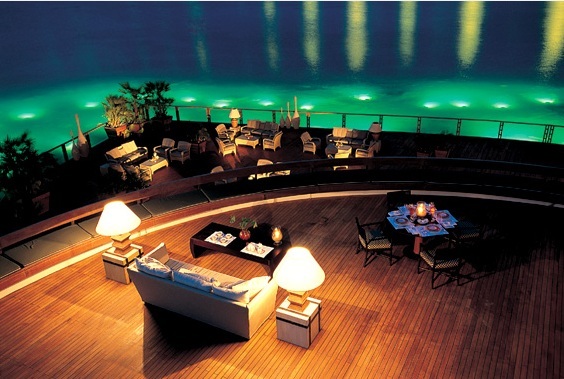 ), but Europe has some truly spectacular ones that shouldn’t be missed ontours in Europe. With a melange of mountains and forest, you can expect to see some real jaw-droppers! Here are some of the best waterfalls in Europe. 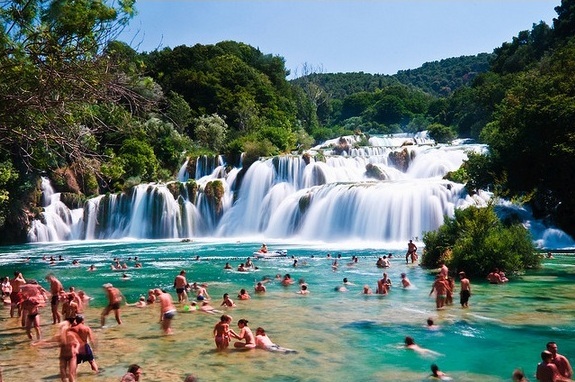 Croatia is appearing on the lists of the best tours in Europe, and this country boasts one of the most beautiful waterfalls in the world. Skradinsky Buk is part of a waterfall network in Krka National Park.These waterfalls have many segments and tiers of cascades and are surrounded by clear, aquamarine ponds and beautiful vegetation. Visitors can walk along boardwalks, overlooks and land spurs to see the whole area and several waterfalls. Scotland has a charming cave with an elegant little waterfall on its north coast near the village of Durness. Smoo Cave is inside the cliff along a gorge on the beach. The gorge is entered from the beach, and this area is beautiful in its own right, but the cave adds another dimension with a glorious play of light and shadow. The waterfall adds the magic. France offers a majestic setting for La Cascade de Gavarnie. It is on the border of Spain and France in the Upper Pyrenees. Situated on a glacial bowl, it falls down the rugged rocks to add another facet to the already spectacular natural beauty. Visitors can walk to the base of the falls and experience the grandeur of the whole area. 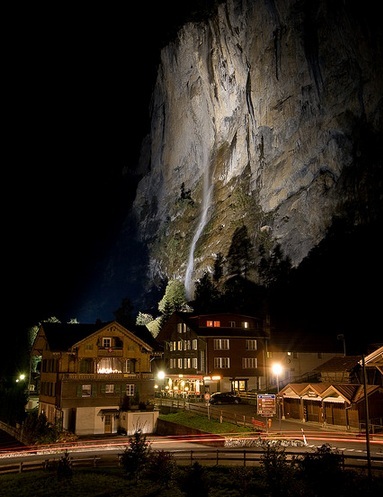 Switzerland has more than 72 waterfalls in the Lauterbrunnen Valley, but the Staubbach Falls stands out among the rest. The water falls over the cliffs above the town and offers a spectacular backdrop to the charming Swiss village. Switzerland also has one of the largest waterfalls in Europe. Rhine Falls is located on a rugged area with rocks, slopes and drops in the Rhine River. There are boat tours that will take visitors to some of the tiny islands in the middle of the falls. Near the main middle island is a natural stone arch. Iceland, located in the far west of what is considered Europe and has some of the largest waterfalls in the world. The natural surroundings are untouched wilderness and the waterfalls are seriously powerful, driven by melting glaciers and snow. 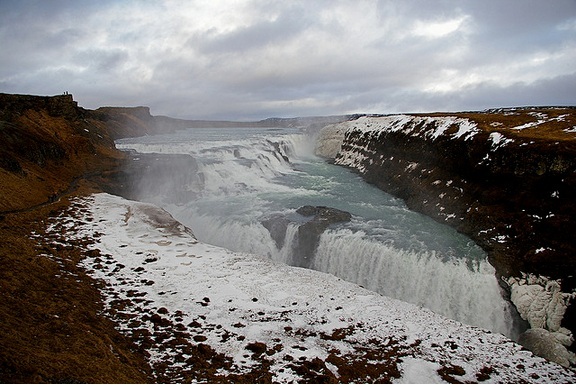 Near the capital city of Reykjavik are many waterfalls and in the eastern part of the country are many more. Many have not even been named. Gullfoss is a popular site for visitors. It is a two tiered waterfall that spans the whole width of the Hvita River and is framed with rainbows and mists. The Westfjords of Iceland have more beautiful waterfalls including Dynjandi. It is a wide cascade with many tiers. It is actually seven waterfalls combined to make one spectacular sight. Germany has the Berchtesgaden National Park in Bavaria, Southern Germany. Lake Konigssee is an emerald green glacial lake and the base for Konigsbach Falls. The falls tumble in several tiers down a forested mountain side into the lake. In a smaller lake nearby is the tallest waterfall in Germany, the Rothbach waterfall, which free falls down the mountain. Have you been to any other beautiful waterfalls in Europe not on this list? Please share them in a comment below!